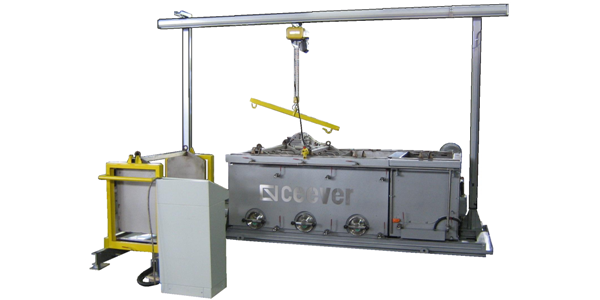 Ceever MULTI Plant Series are machine at multiple vats endowed with gallery of coverage and one or more automatic conveyors for the inside handling of the basket. The great success of Robot Series is due to its maximum versatility and reliability (mainly due to the constructive simplicity), to the great productive ability and the low environmental impact. Versatility is at first constructive, it is possible to adapt these plants at many cycles of treatment and different systems of loading / unloading of the pieces to treat. Thanks to the random system of management it is possible to associate at every basket a different program of treatment, avoiding to have to work by lot as happens in old generation plants. It is also possible realize plants Agito multistage automatic or semiautomatic versions aligning individual units based on the chemical cycle of treatment provided.